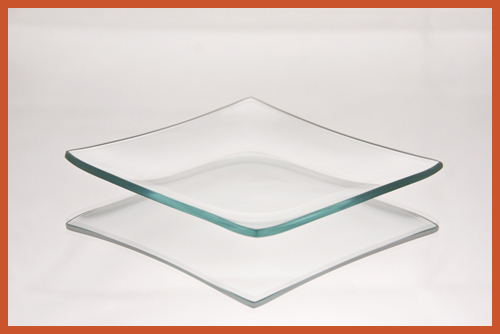 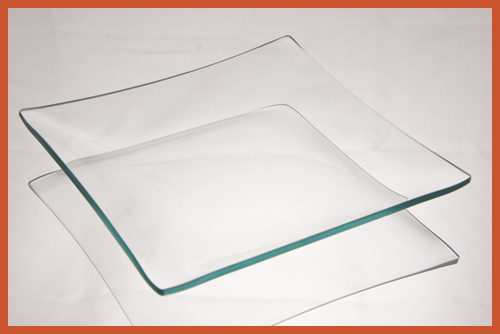 Our square clear glass plates are trending and widely used for decorating and bringing your own glass masterpieces to life. 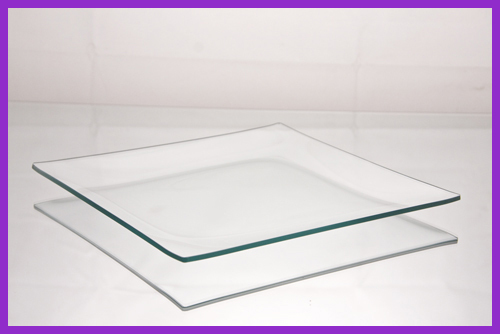 Techniques commonly used are decoupage for glass plates, engraving glass plates, etching glass plates, and hand painting glass plates. 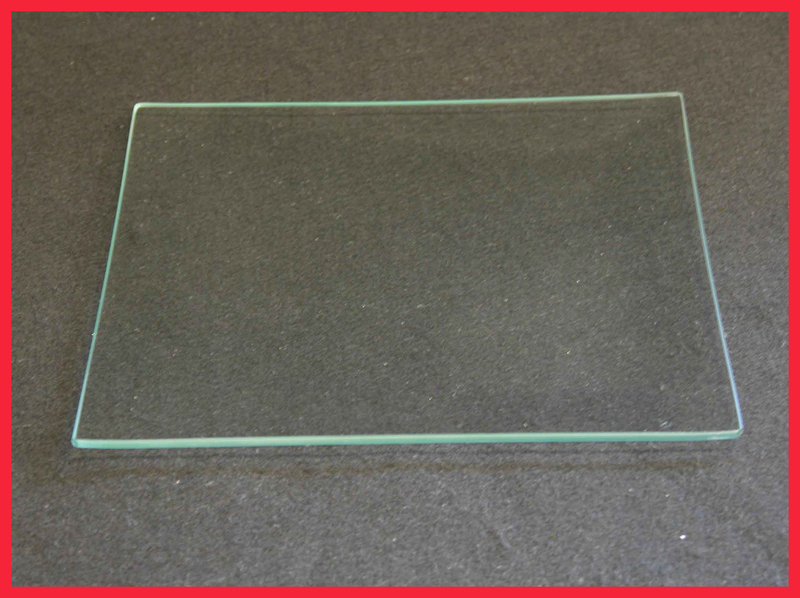 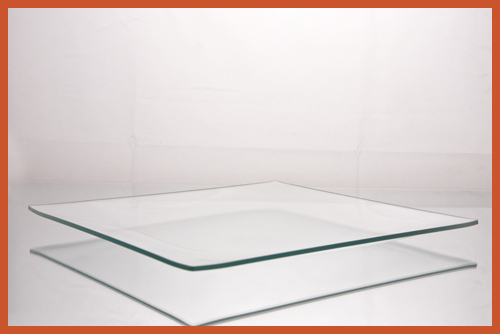 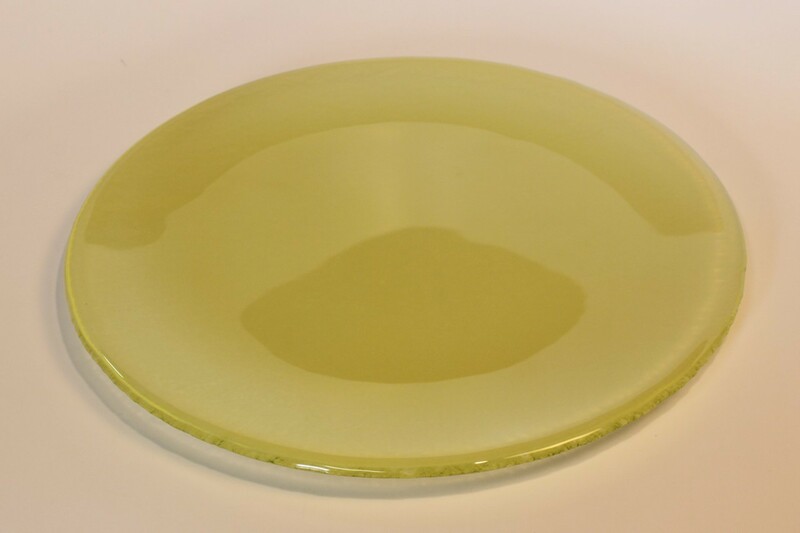 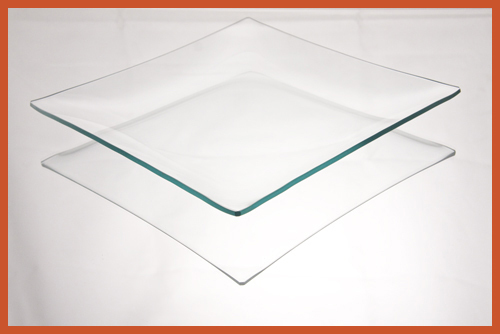 There are many uses of these square glass plates for your home or office, you are only limited by your own imagination. 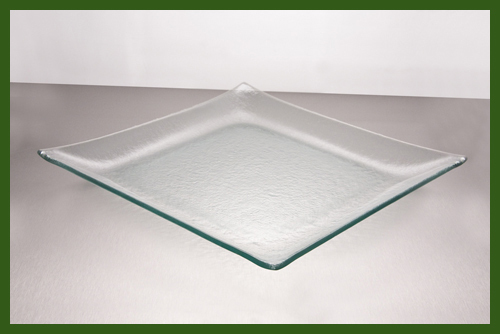 You can use them for decorations, dishes, parties, gifts, serving trays, candy dishes, dessert plates, centerpieces, and so much more. 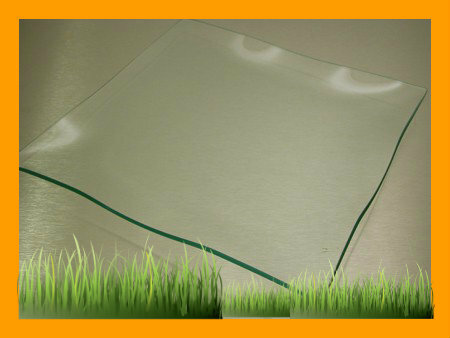 Want to make it extra special, we can personalize your square glass for you by precision laser or sand blast, commonly known as sandcarving. 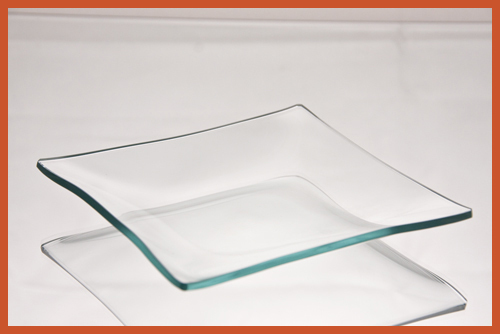 We offer a variety of sizes and different styles of bends. 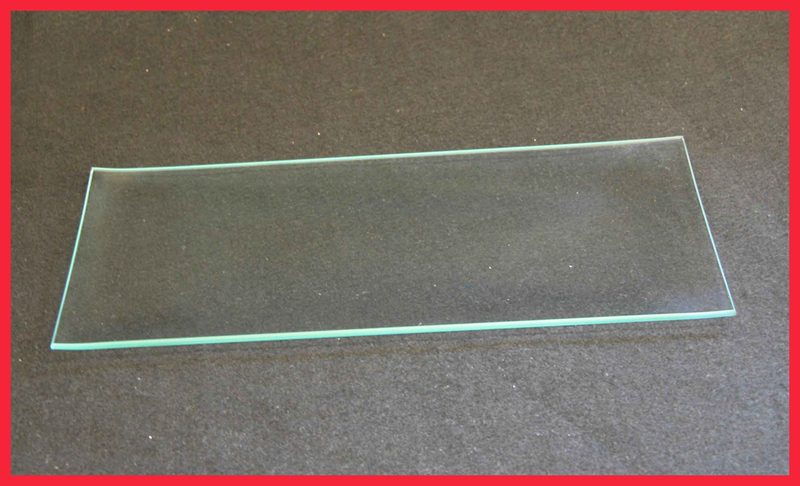 You can choose our regular glass bends, shallow glass bends or big bottom glass bends. 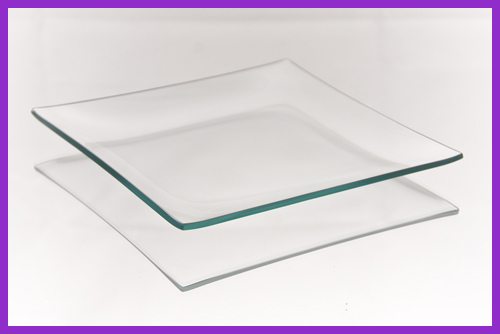 Keep in mind all of our plates are dishwasher safe. 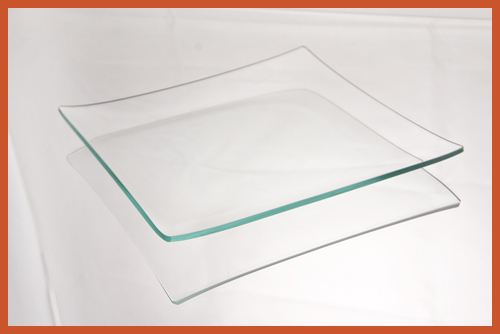 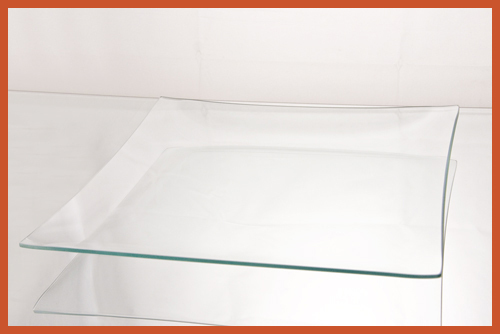 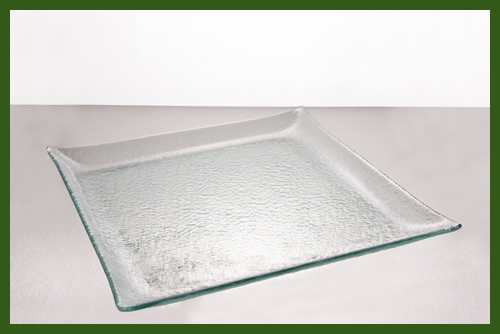 Every piece of our square clear glass plates is cut, ground, bent, packed in Delmont, PA – Skillfully made in the USA. 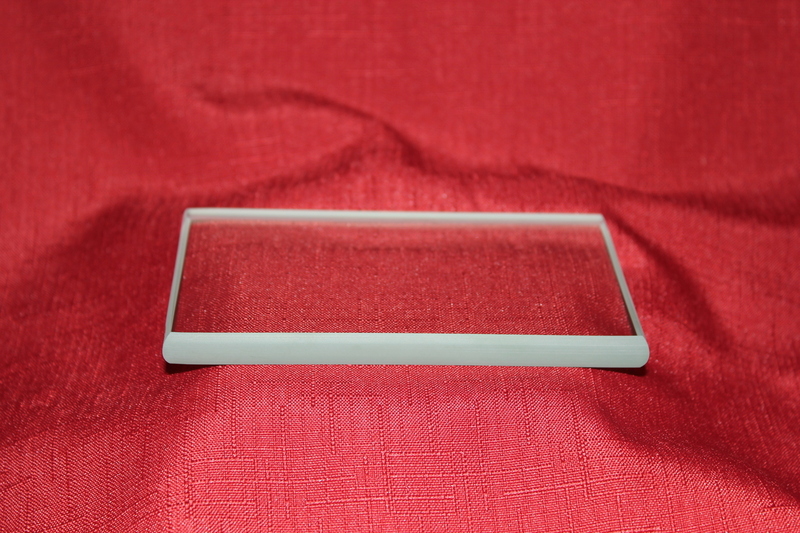 5" Square Big Bottom "BENT", 1/8"
6" Square Big Bottom "BENT", 1/8"